China maintained strong foreign trade growth of 16.4 percent year-on-year in the first seven months of the year, reaching $2.61 trillion, amid intensified trade friction with the United States over tariff increases. The country's exports rose 12.6 percent year-on-year to $1.39 trillion in the January-July period while imports grew 21 percent to $1.22 trillion, the General Administration of Customs said on Wednesday. Huang Songping, director-general of the administration's Department of Statistics, said China's foreign trade performance was stable during the first seven months of 2018 thanks to growing domestic demand, new policies to stimulate exports and narrowed trade surplus figures. The country saw more balanced import and export development during this period. The country's trade with major trading partners saw an increase between January and July. Trade with the European Union and ASEAN countries respectively climbed 13.2 percent and 19.7 percent year-on-year. Bilateral trade between China and the US rose 12.9 percent year-on-year to $356.56 billion. Their trade volume amounted to $54.98 billion in July, with China's exports jumping 13.3 percent from the same month a year earlier to $41.54 billion. Zhang Yongjun, a researcher at China Center for International Economic Exchanges, said the trade dispute between China and the US has not produced any major effect yet judging by the country's foreign trade volume in July. He said the trade data for July remained normal, partially due to companies' pushing earlier this year for orders to be completed in time to avoid potential risk from additional tariffs. "As China keeps expanding its imports, its trade surplus has shown signs of reduction," he said. As for the trade outlook in coming months, there will be more uncertainty in both global trade and financial markets because of the expanding list of goods subject to additional tariffs from both sides, said Sang Baichuan, a professor of international trade at the University of International Business and Economics in Beijing. "The reason that the export growth rate performed better than expected is the sentiment driven by the fear of increased trade friction and enhanced trade ties with other economies," Sang said. He said there would be negative effects for the country's job market if exports deteriorate. 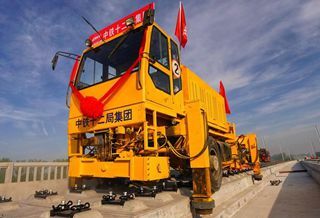 Therefore, China may invest more in the infrastructure sector to hedge risks. Long Yongtu, China's former chief negotiator for entry into the World Trade Organization, said China does not deal with protectionism by launching protective activities, but takes a more open approach, which is a "wise" way to address trade disputes. Long said both the categories subject to tariffs and the rates in many countries have dropped significantly since the establishment of the WTO decades ago. That's because only low tariffs or even a zero tariff is in line with the development of the global economy and trade globalization. "Anyone who ignores this fact will pay a heavy price," Long said.